Prambanan Temple is a temple located in the Central Java and it was built for the worship of the Trimurti, Brahma, Vishnu, and Shiva. Work was started on Prambanan Temple 9th century. Prambanan Temple is one of the largest Hindu temples in South-East Asia in addition to Angkor Wat. It is also called as the temple of Rara Jonggrang made by adherents of Hinduism in honor of Brahma the creator, Vishnu as gods as keeper, and Shiva as the destroyer. But this temple is devoted to the worship of Shiva, as the embodiment of symbolism/Balitung Maha Sambu. The location of the temple is situated 17 km from Yogyakarta, on the border of Central Java and Yogyakarta Province. The name of Prambanan, like the names of the other temples, the name is derived from the name of the village nearest village of Prambanan. 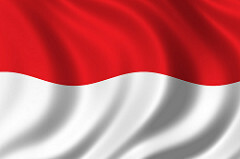 It is possible that this name is a form of local tongue mentions "The Brahman".There are also concluded that Prambanan word from the words of emban means bringing the tasks, reflecting the roles played by the gods on earth or a task that must be done by villagers associated with the temple. 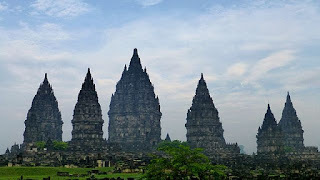 History of Prambanan Temple started in 850 when the King Rakai Panangkaran response to the building of Borobudur temple and Sewu Temple by Sailendra dynasty . Historians argue that the construction of Prambanan Temple is meant as a sign of the revival of the Hindu ruler of Sanjaya dynasty in Java after the previous dynasties of Buddhist or Sailendra dynasty ruled for almost a century. The struggle of Rakai order build first then continued and built by King Balitung Maha Sambu and Lokapala as the King of Mataram. According to the Shivagrha inscription in 856, this temple was built in honour of Shiva and his original name was Shivagrha which means "House of Shiva". Referring to the inscription Shivagrha also, as a note that there is a large project to change the flow of the River near the temple, where it is identified as the Opak River that now flows from North to South is right on the West side of Prambanan Temple. Initially, historians said, the river flows further East and judged too close to the main temple. 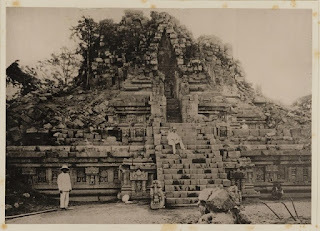 Mataram Kings such as Daksa and Tulodong next always striving to continue the development of Prambanan temple by way of continuing to widen the area of the temple, such as by adding hundreds of perwara temples around. Prambanan also serves as a temple of the Mataram Kingdom, where nearly all the religious ceremonies and sacrifices were held at the temple. In the golden age of the Mataram Kingdom, many experts approx that hundreds of Brahma along their studying live in the outer wall of the temple area. In the year 930, Mpu Sindok had moved the center of the Kingdom to the East Java and established the Isyana dynasty. There are two different opinions about this, the first is the eruption of Merapi volcano in the South of Prambanan and another one is a power struggle. 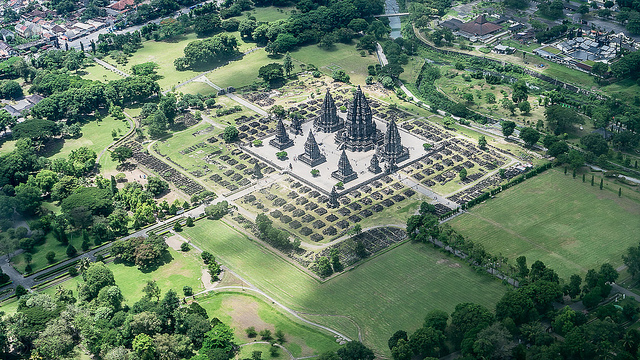 To be sure, this displacement causes the decline of Prambanan Temple’s development. The 16 also happens to an earthquake which almost brought down the entire Temple. Although the Temple had already ceased to be the center of worship, remains of temples are scattered in the surrounding area is still identified by the community. The discovery of the remains of temples and sculptures change Prambanan became a folk story of Roro Jonggrang Temple which is said to be made by the Bandung Bondowoso with Satan as his men. And finally in 19th-century the temple is attracting the world attention. In 1811, Colin Mackenzie, a surveyor of Commander Thomas Stamford Raffles accidentally went to the temple. Although Sir Thomas ordered his men to hold the full survey , nonetheless temples finished of dormant for centuries. Since the excavations of archaeologists that half-measures in1880, many people and the communities surrounding the Netherlands picked up some material from the temple to the gift shop or as construction materials. Finally, in 1918, the Netherlands began to reconstruct of ruins and then, the total of restoration began in the reconstruction of ruins in 1930s till to day. -2 Apit Temple: located between the rows of Trimurti temples and Wahana temples at the North and South sides. -4 Kelir Temples: located in the 4 sides behind the entrance to the inner courtyard or the core zone. -4 Patok Temples: located in the 4 corners of the core zone. 224 ancillary temples : arrayed in the neat rows of 4 with the number of temples from the inner to the outer sequence: 44, 52, 60, 68 and it's clear that the total number is 240 temples. 0 Response to "Prambanan Temple the heart of Java"